Most of your work in React will be working with components. Components are the building blocks of your application. Since React is still gaining popularity, but some developers are afraid to try it or don’t know where to start, I decided to create a short tutorial that will bring the basics of the library. 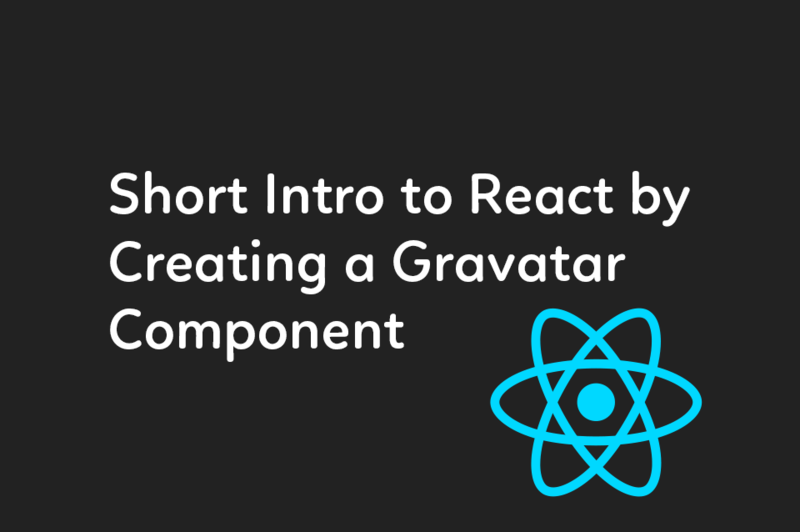 What we are going to create today is a Gravatar component that will give you enough knowledge to start creating your own components in React. I might expand the tutorial into a full application if this tutorial is well-received. Most of your work in React will be working with components. Components are the building blocks of your application and within components, you will add the functionality needed. In the previous example, we used the class declaration to make a child class from React.Component. All components require a render method to tell React how they should look on the screen. Inside the render method, we create the HTML elements that composite our component. Using ReactDOM.render(), React inserts the component in the HTML page inside the element with the id “app”. [...children] // The elements that will be children of the element created. The last part of the code is ReactDOM.render(). 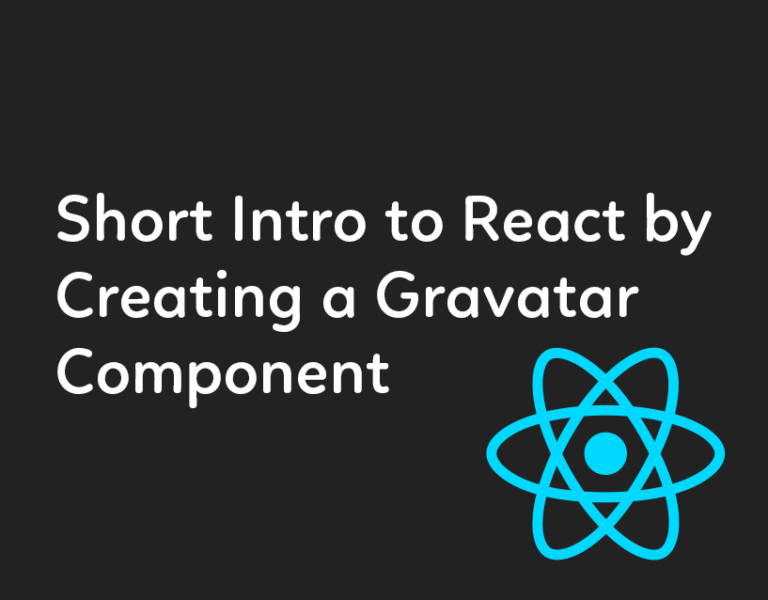 This is in charge of inserting the created React components on the page inside of the element provided as the second parameter. This code will display an image and the text “John Smith”. But, this is not dynamic and not very practical because it does not allow you to use the component multiple times with different images and text. For that, we will use props. Props are the attributes added to a component so it can be further customized. They work just like any HTML attribute in standard HTML elements. Let’s modify the previous component so it can take props. The main attribute is the email so it generates the image for the gravatar. The other two attributes are size, which controls the size of the gravatar, and name that will be used to display the full name of the user.